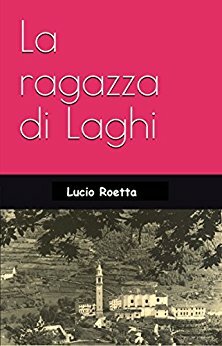 "La ragazza di Laghi" (The Lakes girl) is the history of the meeting between Luigi and Daniela, the two young protagonists of a story that takes place in the early 70s, in the beautiful and pristine environment of the Venetian Alps, the mountains north of the Vicenza (The city ​​of Palladio). In small areas of the fertile valley enclosed from the trackless wild ring of mountains, live the descendants of an ancient population already decimated by emigration. The story is involving the suspicious nature and superstition of the villagers towards strangers, but also the harsh and mysterious mountain, which hides among its rocks and its caves the secrets of past events and two world wars, the Great War against the Austro-Hungarian empire of 1915-1918, and the partisan war of 1944-1945. The two young protagonists while belonging to different environments as a culture and habits, meet so adventurous and find way to know each other, love each other and evolve their romance. The book is written in Italian language. The "The Lakes girl" novel is published in digital format on Amazon "Kindle" and also in printed form with the flexible cover. "It's night, Sergio is leaving on his own when he hears shouts of" ... It is the beginning of a bloody history of kidnappings, rapes and human trafficking that takes place in Romania, whose the protagonist is a young Italian engineer working for an oil company. However, in a dangerous world where crime and corruption are rampant, amid sufferings of every kind and so much mud, the young can not find a strange and savage soul mate with whom to share the difficulties and face the future. The book is written in Italian language. 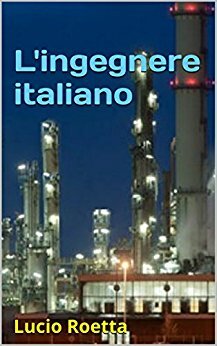 The "L'ingegnere italiano" novel is published in digital format on Amazon "Kindle" and also in printed form with the flexible cover. 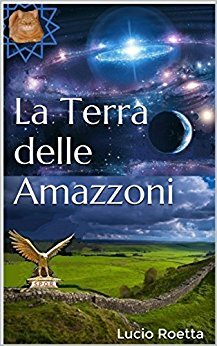 "La Terra delle Amazzoni" (The Amazon Land) is a science fiction book that describes the adventures of Leo, a college student shy and a bit strange, but intelligent and passionate about physics, which performs an experiment and accidentally found a way to travel between parallel universes. The novel begins with the description of the experiment performed by Leo in a farmhouse on the outskirts of Rome, where the young man lives with his cat. As a result of his attempt to harness the forces of nature, the young man finds himself thrown back two thousand years in the time, and wakes up in Scotland during the Roman invasion. Leo realizes that there is a big difference between the history of Scotland who has studied in high school and that of the earth in which it is done. The difference is that the entire area north of the Antonine wall is inhabited by a population of only women, the Amazons. Leo gets captured by female warriors and to avoid making a bad end must show that he is a Roman spy. Young succeeds and soon finds himself completely involved in the war between the legions of Rome and the Amazon ranks. The story takes place in a stretch of Scotland between the Vallo di Antonino Pio and the Highlands. The novel is accompanied by eleven illustrations with maps and sketches, and several notes. The book is written in Italian language. The "La Terra delle Amazzoni" novel is published in digital format on Amazon "Kindle" and also in printed form with the flexible cover.